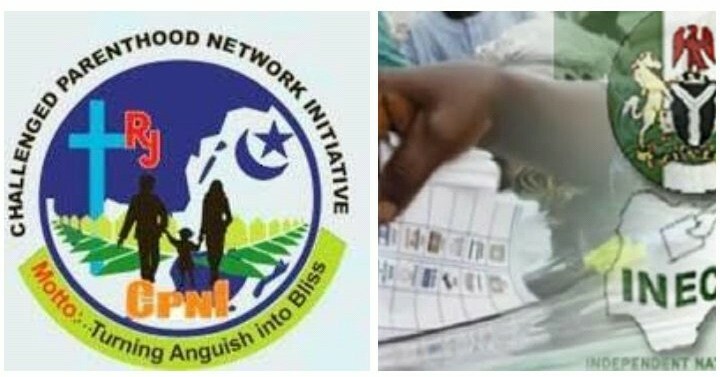 Challenged Parenthood Network Initiative, CPNI, a non governmental organization has embarked on a door to door campaign in Okene and Ogori Magongo Local Government area of Kogi State respectively in a bid to ensure a violence, free, fair and credible election in the country. Our Kogi State Correspondent reports that the Executive Director of CPNI, Ms Eunice Abimbola Agbogun while stressing on the importance of Sensitizing voters ahead of the forthcoming polls lamented that the activities of fraudulent politicians in engaging youths in violence and thuggery during election must be discouraged. She said the nations nascent democracy must be protected from fraudulent politicians who wants to hijack the upcoming election for their own selfish interest. Ms Agbogun who addressed Women, youths, traditional rulers and clergies in the two local government intimated them on the seven guideline of Voting on election day, reasons why electorates should not sell their votes, avoiding violence and be a peace ambassador before, during and after the election. While emphasizing that the NGO is apolitical and remains committed in supporting the efforts of INEC towards a free and fair election in the country, Ms Agbogun reminded electorates in the two local government that their votes is not a market and must not be sold out. She also took time to inform them of INEC preparedness for the election which includes provision of adequate security to enable electorate exercise their franchise without fear or intimidation and allowing their votes count. In their response, traditional rulers in the two Local Government urged INEC to be professional in the discharge of their duties. According to the Obin of Magongo, HRH Sam Bola Ojo, he urged the electoral body to learn from the mistakes of the Osun and Ekiti polls adding that electorates are now better informed on why their votes must count.
" INEC must not compromise in this election as it may bring about crisis in the country. The world is watching and waiting to see what will be the outcome of this election both in the Federal level and State level. All hands must be on deck to ensure that bad eggs are weeded out of the commission. What we saw at the Kogi State bye-election were it was alleged that ballot box snatching, voters brutality, fake security and ad-hoc staffs working for a political party should not be seen in this election. Security agencies has a great role to play if this election will be peaceful, free and fair. The notion that a particular security agency is working for a political party should not be seen. For us to protect our democracy, the Country need sincerity of purpose. This can be achieved by you who is stakeholder in this campaign, INEC, security body and even the electorate. For us as traditional rulers, we will continue to educate our subjects on the need to maintain peace before, during and after the election". The royal father who also insist on 'One Man One Vote' however condemned the campaign of calumny exhibited by some political aspirants when they visited his community saying, " when we discovered that some of this politicians came here to insult their opponent rather than sell what they have for the people, we immediately set the record straight that we won't accept it. This should be emulated by other communities as it will go a long way in correction the anomalies during electioneering process". Similarly, the Oluoba of Magongo, Chief Patrick Daudu said the enlighntened in the community has also taken further steps to educate their people on the need to maintain peace during the exercise . He assured that his community will be orderly and peaceful even as the monarch see lack of unity among electorates as one of the reason why crisis has continued to erupt during election in Nigeria. Meanwhile, the Ohi of Okengwe, Okene under Okene Local Government, HRH Alhaji Yusuf Yakubu lauded the organization for this initiative, noting that it is only those that are alive that will know the outcome of an election. He blamed some leaders for the resurface of violence in the central part of the State, adding that leaders are expected to lead by examples and not instigate chaos which will distabilize the peace of the nation. The royal father prayed for the peace of the nation for before after the forthcoming general election, stressing that Nigeria is yearning for the best. Assuring that traditional institution will continue to educate parents to caution their wards on the need to be orderly during the polls. Religious leaders, Women and youth were not left out as they also raised concern on transparency of the electoral body during the polls. A woman Leader in one of the LGA's, Mrs. Victoria Alabi said Women in the past has been victimized and prevented from voting on election day. With the new guideline for voting and the special preference given to women and person's with disabilities on election day, Mrs. Alabi believe that there will be a large turnout of women who will be willing to exercise their franchise in voting candidates of the their choice. Youths in Ogori-Magongo and Okene LGA identified poverty and lack of proper orientation as some of reasons why youths engage in thuggery during elections. They also raised concern on the issuance or Permanent Voters Card (PVC) by INEC as they alleged that they have applied for their PVC's for over two years but are yet to get any positive feedback from the electoral body. They urged INEC to caution their staff on the way they approach electorates and should not be seen working to favour a political party on election day. This they say could trigger crisis during the exercise. "There should be strict monitoring of election materials, results from the polling units to the collation centre. We don't want to hear any situation that at the polling unit party A wins but INEC on their own part will declare party B winner perverting the wills of the electorates. It will not be acceptable. We will to any length to protect our votes" the youths warned. While it was observed that over 70% are with their PVC's in the two LGA's in view, the People of Onyioto/ Ageva, Oro in Okengwe under Okene Local Government area of Kogi State has raised alarm over alleged marginalization by the Independent National Electoral commission (INEC) before the commencement of the 2019 general election.